Today’s business enterprises face unprecedented security threats. As organizations embrace new technologies, newer threats continue to proliferate. Smart-phones, cloud computing and virtualization have each made enterprise security all the more complex and difficult and never more essential. When you diagnose security breach incidents such as identity thefts, attacks and other security breaches, you typically find that basic security measures were carelessly handled. And the damage goes beyond the jeopardy to IT infrastructure and corporation information — with today’s social networks, bad news travels faster, to threaten your business and perhaps even scar your brand name forever. 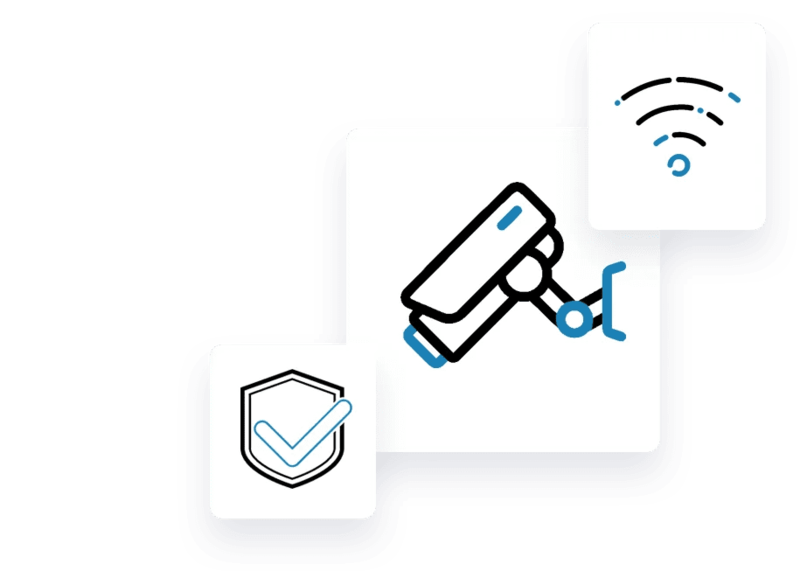 There are many options available for wireless security cameras that can be monitored by your PC directly or remotely by any Internet accessible PC in the world. Once you have purchased the proper wireless security camera, it becomes important to know how to install it and make sure it is able to effectively do its job. In order to install your online security camera, you will need to determine where you want it to go so that you can purchase the right equipment. If you will be mounting it outside, then you will need to purchase a camera designed to be used outdoors. Choose a camera that comes with a mounting kit, and then follow the manufacturer&apos;s instructions on installing the camera on the kit properly. If you do not have a wireless connection to your Internet at your home, then you will need to purchase a wireless router as well. Any brand will do as they are all compatible with Wi-Fi. Placing it in the right position makes it more efficient. When you place your camera, be aware of the range that the camera has for capturing images. The sharper your downward angle, the less area of activity the camera will be able to pick up. The range of the camera is printed clearly on the box, so it is a good idea to measure the size of the area that you want to monitor and choose an appropriate camera. It is always advisable to purchase two or more cameras to effectively monitor the area that you would like to keep secured. - Determine requirements and need : In this phase we work with the basic customer’s goals and needs. We focus on why does our customer need a security system? Most businesses and home owner would want to protect their assets and belongings. - Study location and Site Survey : Analysis the location that requires a surveillance system installed. We first determine the need, we usually ask the customer what do you want to monitor? What do you want to protect? Etc. - Study the area and environment : to determine the location and type of each camera used based on zooming requirements, clarity requirements, range, budget and sensitivity (motion vs continuous). - In step 4 we propose all types of cameras : based on 1, 2 and 3 above. For example we might propose a weather proof camera that runs day and night with motion detect and zooming or tracking (camera moves continuously). (LICE24SL -Weatherproof IR camera). Another example of such choices: say we need to monitor a door, now we can put the camera inside or outside! Such a decision could be determined based on sun, shade and general environmental characteristics.